We are happy to address all inquiries. Please note that as all EOM staff are volunteer, your inquiry will be addressed as soon as possible. Please include the instrument serial number and photo in your inquiry. Note that we do not provide appraisals. From May through October, arrangements can be made for museum tours when the museum is not open to the public. Note that as the museum is housed in a former factory building, it is not heated or maintained off-season. Instrument restorers and dealers may place an ad on our Resources page. We welcome volunteers to serve as docents or assist with special events. Please note that, at this time, space limitations prevent us from accepting donations of instruments that duplicate those in our collection. 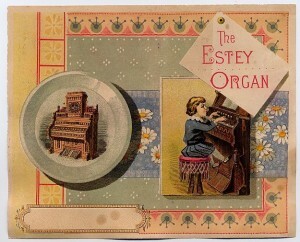 Click here to donate to the Estey Organ Museum on-line using PayPal. To make a gift of appreciated securities, an in-kind gift, or to adopt an organ, please contact the museum.